In a survey of Hubble Space Telescope images of 2,753 young, blue star clusters in the neighboring Andromeda galaxy (M31), astronomers have found that M31 and our own galaxy have a similar percentage of newborn stars based on mass. By nailing down what percentage of stars have a particular mass within a cluster, or the Initial Mass Function (IMF), scientists can better interpret the light from distant galaxies and understand the formation history of stars in our universe. The intensive survey, assembled from 414 Hubble mosaic photographs of M31, was a unique collaboration between astronomers and "citizen scientists," volunteers who provided invaluable help in analyzing the mountain of data from Hubble. "Given the sheer volume of Hubble images, our study of the IMF would not have been possible without the help of citizen scientists," said Daniel Weisz of the University of Washington in Seattle. Weisz is lead author on a paper that appeared in the June 20 issue of The Astrophysical Journal. 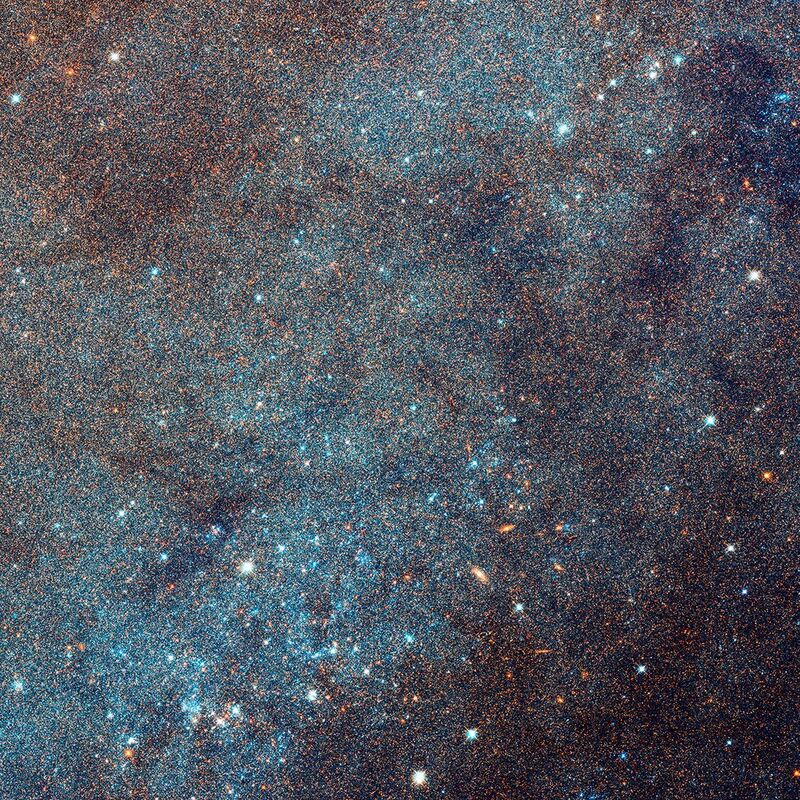 Measuring the IMF was the primary driver behind Hubble's ambitious panoramic survey of our neighboring galaxy, called the Panchromatic Hubble Andromeda Treasury (PHAT) program. Nearly 8,000 images of 117 million stars in the galaxy's disk were obtained from viewing Andromeda in near-ultraviolet, visible, and near-infrared wavelengths. Stars are born when a giant cloud of molecular hydrogen, dust, and trace elements collapses. The cloud fragments into small knots of material that each precipitate hundreds of stars. 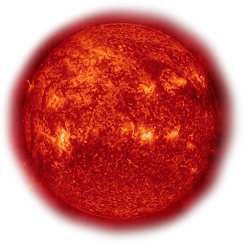 The stars are not all created equally: their masses can range from 1/12th to a couple hundred times the mass of our sun. Prior to Hubble's landmark survey of the star-filled disk of M31, astronomers only had IMF measurements made in the local stellar neighborhood within our own galaxy. But Hubble's bird's-eye view of M31 allowed astronomers to compare the IMF among a larger-than-ever sampling of star clusters that are all at approximately the same distance from Earth, 2.5 million light-years. The survey is diverse because the clusters are scattered across the galaxy; they vary in mass by factors of 10, and they range in age from 4 million to 24 million years old. To the researchers' surprise, the IMF was very similar among all the clusters surveyed. Nature apparently cooks up stars like batches of cookies, with a consistent distribution from massive blue supergiant stars to small red dwarf stars. "It's hard to imagine that the IMF is so uniform across our neighboring galaxy given the complex physics of star formation," Weisz said. Curiously, the brightest and most massive stars in these clusters are 25 percent less abundant than predicted by previous research. Astronomers use the light from these brightest stars to weigh distant star clusters and galaxies and to measure how rapidly the clusters are forming stars. This result suggests that mass estimates using previous work were too low because they assumed that there were too few faint, low-mass stars forming along with the bright, massive stars. This evidence also implies that the early universe did not have as many heavy elements for making planets, because there would be fewer supernovae from massive stars to manufacture heavy elements for planet building. It is critical to know the star-formation rate in the early universe, about 10 billion years ago, because that was the time when most of the universe's stars formed.